Why not use our designer to design your own banner in the comfort of you own home. Simply draw, order, pay and sit back and wait for it to arrive. Or if you are local come and collect when it's ready. 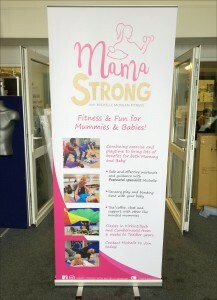 Omega Print and Signs banners come in any width up to 120cm. They can be any length up to 10 metres long. Our banners are ideal for long term or temporary use. Perfect and portable signage for exhibitions etc. 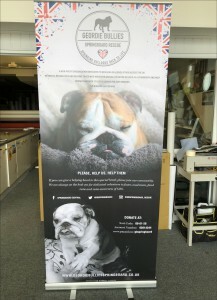 Our banners are digitally printed and come finished hemmed and eyletted ready to hang. 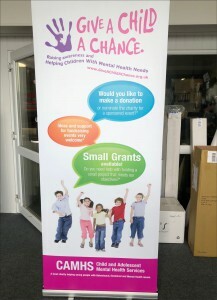 Prices start from as little as £14.00 for a 4' x 2' banner 440gsm. One design, two sided printing. Omega Print and Signs are experts in Scaffold Banners, with years of experience. 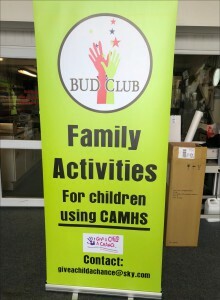 Printed on our state of the art eco-solvent digital printer our Banners, are all made using heavy duty block out pvc vinyl, built-to-last, and fit-for-purpose. We use only the best materials. Our banners are finished with heavy-duty hems, metal eyelets and tough pockets as standard. Our very low prices are a good reason to buy your banners from us. Plus you get to design it yourself or just call us and we will design them for you. Banner size is 850mm x 2000mm they are ideal for exibitions and advertising. All of our pop-up banners come in a handy carry case for getting them safely to and from the exibition. There are very good discounts available for quantity orders.